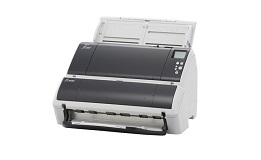 The fi-7480 can efficiently scan a large amount of documents. The ADF paper chute (feeder) can accommodate 100 sheets (A4 sheet, 80 g/m2 ) and additional papers can be added while scanning. 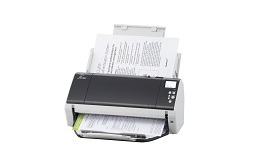 Furthermore, it also includes several functions to ensure reliable scanning. Physical dimensions 14.96" x 8.23" x 6.61"